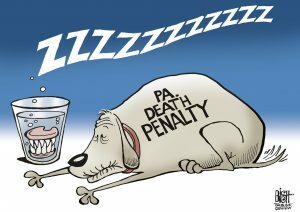 PNA offers a syndicated package of statewide editorial cartoons by Randy Bish. Each subscriber receives at least three cartoons per week for just $8. New cartoons are posted each day that they are received. For those that are received after 4 pm on Fridays, they will be posted the following Monday morning. To subscribe, fill out our Editorial Cartoon Service form or contact our team by email. Logged in members can access the editorial cartoons through our Members Only section. 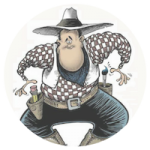 Since 1989, Randy Bish has been the cartoonist providing editorial cartoons for the members of the PNA. His work has been featured on “Good Morning America” as well as C-SPAN, and his work was included with the editorial cartoons depicting the Sept. 11 tragedy on CNN’s Web site, and also appear on CNN’s “Ahead of the Curve” program.